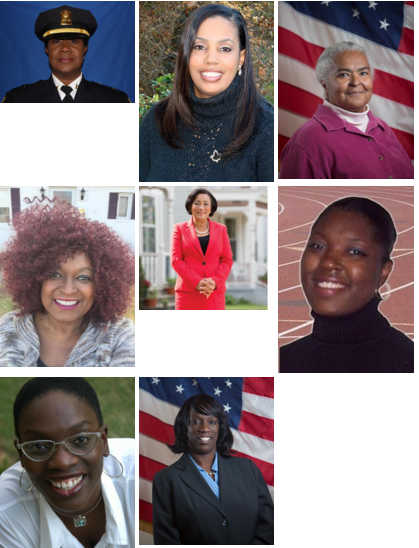 * Women Pioneers ~ Alderwoman Jeanette Morrison, African American Cultural Center at Yale and Sisters of Today and Tomorrow partner to bring New Haven an engaging Women’s History Month program, “Celebrating Women of Color…Women Pioneers Share Their Story”. The event showcases Saturday, March 19, 2016, 10am-12pm at the African American Cultural Center at Yale, 211 Park Street, New Haven, Connecticut. $25 – donation. The program is open to all men, women and children. The event will include: Entertainment, food, vendor shopping and an enriching conversation with New Haven women pioneers. The program is a feel good program, highlighting and celebrating the accomplishments of women. The panelists include: First Gold Medalist in the Hammer Throw, Alexandria Givan; First woman Captain of New Haven Police Department, Patricia Helliger; First woman Mayor of New Haven, Toni Harp; and first woman president of the Greater New Haven NAACP, Doris Dumas. Moderated by: Babz Ivy Rawls, Editor-in-Chief of Inner City News. Hosted by: Carla Morrison, Executive Director, Sisters of Today and Tomorrow. Welcome by: Dean Rise Nelson, Executive Director, African American Cultural Center. Greetings byAlderwoman Delores Colon. And closing remarks by Alderwoman Jeanette Morrison. “’Celebrating Women of Color’ (CWOC) is a feel good program that I’ve been producing since 2003, while living in Atlanta, Georgia,” stated Carla Morrison, Executive Director of Sisters of Today and Tomorrow. To attend this event, you will need to rsvp (no later than Thursday, March 17th), by logging onto: www.sistersoftodayandtomorrow.org (press the donate button) to make your $25 contribution. “Celebrating Women of Color…” is one of three signature programs produced by Sisters of Today and Tomorrow (SOT). The program is in its 10th year and takes place in the month of March, in celebration of Women’s History Month. SOT has had a number of phenomenal keynote speakers including: Child Prodigy Kenya Jordana James, Publisher of Black Girl Magazine; Georgia State Senator Connie Stokes; Author/Poet Mark Anthony; Georgia State Representative Alisha Thomas-Morgan; 1st African American Woman Fire Chief Rosemary Cloud; R&B Singer Chrisette Michele; The Honorable Mayor of Riverdale, Georgia Evelyn Wynn-Dixon; Music Executive / Community Activist Karen Marie Mason; Author/Professor Dr. Stephane Dunn; Author/Professor Rabiyah “Rah” Karim-Kincey; R&B Diva’s Executive Producer/ Cast member Nicci Gilbert; The Houston’s “On Our Own” Executive Producer Wanda Shelley and Trumpet Awards Founder Xernona Clayton. Sisters of Today and Tomorrow is a 501C(3) nonprofit organization, that helps to build confidence, character and leadership. Founded by Carla Morrison, in 2008, the organization is reputable across America for its sincere need to assist women and children.